Apr 7 - China Real Estate Market Cooling Down and Shadow Banks Crisis – What does it mean to EB-5 Investors? by Yi Song, Esq. Article： China Real Estate Market Cooling Down and Shadow Banks Crisis – What does it mean to EB-5 Investors? by Yi Song, Esq. China Real Estate Market Cooling Down and Shadow Banks Crisis - What does it mean to EB-5 Investors? The sale and refinancing of real property are common sources of EB-5 investment monies for Chinese investors. However, recent changes in the Chinese banking sectors may make it harder to obtain a home equity loan in China. In China, smaller transactions with “shadow banks” are on the verge of crisis. “Shadow banks” are unregulated financial companies that borrow and lend money to private investors at a higher interest rate. These banks have issued home equity loans to a significant number of EB-5 investors. An increasing number of Chinese developers have had difficulties in making repayments on time on construction loans. It raises further concerns about the stability of the banking sectors in China. Are the days of shadow banks coming to an end? Statistics show that $160 billion worth of loans were issued in January 2014 from unregulated financial institutions in China. However, in February, virtually none were issued. At the time of writing this article, the author has received feedback from various EB-5 investors of different calibers, who have stated that it has become increasingly difficult to refinance their property in the past few months. China has maintained a 10% inflation-adjusted growth rate in the past two decades. It is the world’s second largest economy following the United States. In the past year, China’s growth rate has fallen into single digits. China is in the process of adjusting its old economic growth model that was heavily dependent upon cheap energy and cheap labor. An isolated incident highlights the shadow bank crisis in China. Last week, depositors queued for hours to withdraw cash, outside of a rural bank in Yancheng, an eastern city in China. Rumor has it that rural banks, rural credit cooperatives are running out of cash. The new leadership in China has allowed the market forces to play a greater role in the economy. This is an indication that China will gradually clear out wasteful financial resources, starting from the shadow banks and will establish a deposit insurance scheme to enhance the stability of the banking system. The author disagrees with the pessimistic views that the real estate market in China is a bubble that will shortly burst. Despite the increasingly greater role the market plays, the government will ultimately control the flow of credits and debts in the banking system. Chinese government is not overly indebted in comparison to the United States or other European countries. The current changes in the banking sectors may have further impacts on the ways EB-5 investors source their investment capital. Courtesy to Mr. John Cassidy's article Is China the Next Lehman Brothers on the New Yorker. This article represents the author's personal opinion. No legal advice is provided in this article. Please consult the counsel for advice applicable to your particular circumstances. Yi Song, Esq. is a dual licensed attorney in the US and in China. She is based in New York City at Mona Shah & Associates focusing on EB-5 financing and securities law. 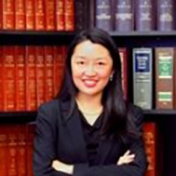 She has authored many published articles on EB-5 financing and China Practice. She practiced tax law in China and worked at one of the most prestigious law firms in China King & Wood (Now known as King & Wood Mallesons). She also clerked at the Supreme Court of China in the country's capital Beijing. Yi is a graduate from Georgetown University Law Center in Washington, DC.